by Douglas Burton | March 20, 2019 02:29 p.m. Terrorists of the group Boko Haram in Nigeria took over the town of Michika in Nigeria’s far eastern state of Adamawa, Monday, burning buildings and exchanging fire with government troops, according to Nigerian wire services and eyewitnesses interviewed for this report. The attack began at 7:30 p.m. in Michika and continued for hours with an unknown number of casualties, although initial reports mentioned “scores killed.” Nigeria’s 115 Task Force Battalion from nearby Lassa in Borno State was quickly dispatched and intercepted the terrorists, killing scores of them and causing “heavy casualties,” according to a press statement from an Army Public Affairs officer in the capital of Abuja. “Boko Haram has taken over Michika,” a resident reportedly screamed to Sahara Reporters on the phone before the call was dropped. 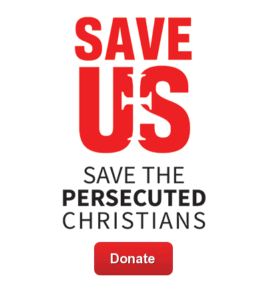 … On the other side of the spectrum are activists, such as Oluwasayo Ajiboye, with the advocacy group Save the Persecuted Christians. “The Nigerian military is not fighting the war against Muslim radicals with resolve,” he said. Ayiboye has called for the appointment of a Special Envoy to the Niger Basin to bring more military assets from the Trump administration into the region.